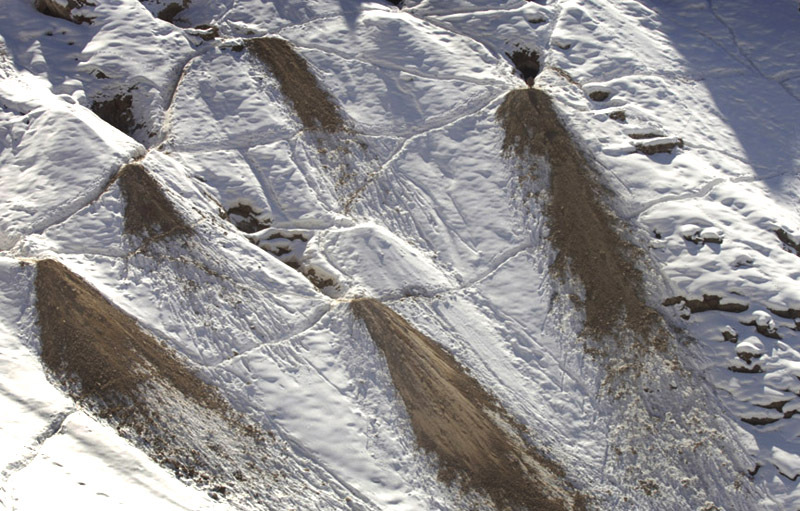 Mine tailings spill from mines onto snowfields in mountains above Khenj, Afghanistan. Hundreds of men work in emerald mines dotting the mountains. Some believe mineral wealth in Afghanistan can be play a part in the countries new economy.